It's Friday again and that means it's release day! Zettlr has already arrived at 0.19, which means we've come 14 releases closer to the milestone 1.0. It's still some way until then, but it's not as far as it has been in January. Actually, it even looks as if we can make it to 1.0 this year! Anyway, as you may have noticed, I've overhauled the website, and one of the new things I wanted to give a try is this blog section. As this also costs time as well, I don't know how often I will be writing stuff here, but at least once per release there will be a small post introducing you to all the new things I've packed into the release. What might be the most important format is the "Outline Processor Markup Language", because this is what is used by a lot of outline and mindmap softwares (such as MindNode). Therefore it is now possible to create a mindmap or an outline in the beginning of the writing process, export it to .opml, import it to Zettlr and then use it to draft your texts. What I can imagine implementing in the future is a feature to split files into multiple smaller ones using headings as guides to further the integration with outline functionality even more! The exporting options themselves work as all other: simply open a file, select the desired format and Zettlr will take care of exporting it and opening it afterwards. One special exporting option I want to point your attention towards is the reveal.js-format. 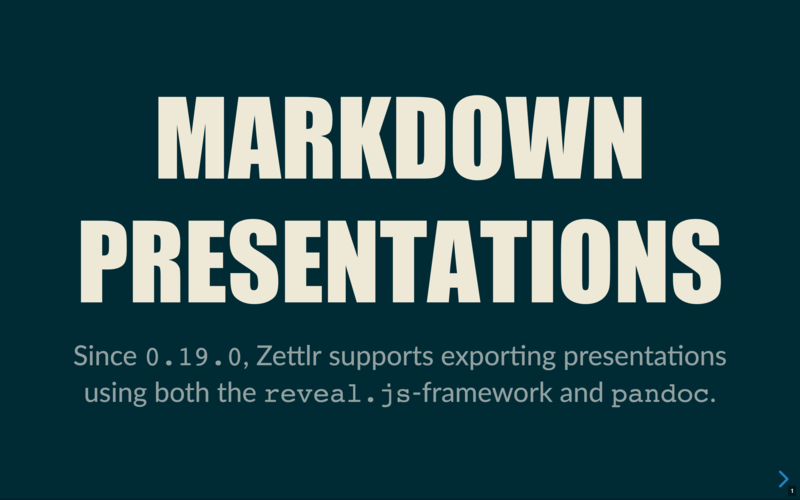 Because it enables you to create whole presentations right from your Markdown files! Reveal.js is a framework for creating beautiful presentations, developed by Hakim El-Hattab. In the developer scene this has already become some kind of standard presentation format, and on most bigger events of the software development community you already see those presentations a lot more than you do PowerPoints. The reason for this is that reveal.js-presentations are much more beautiful than PowerPoint. Normally it would take some knowledge of HTML to adapt the presentation. But recently I've discovered that Pandoc is able to write reveal.js-presentations. 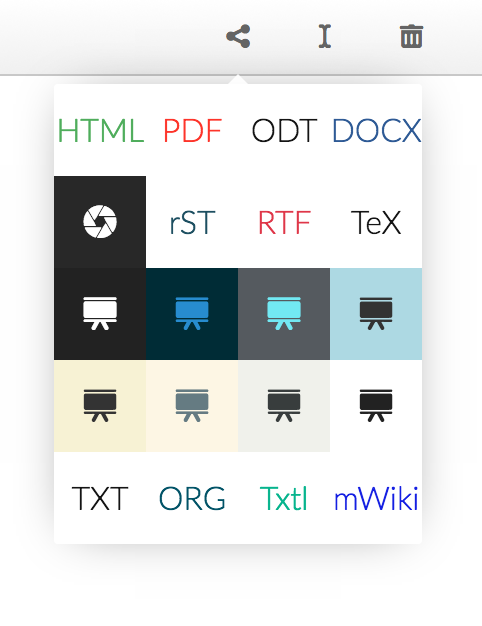 This means that I have implemented a way for you to comfortably write whole presentations in Markdown and then export these into beautiful HTML presentations. The biggest benefit of reveal.js presentations as opposed to PowerPoint is that they are completely platform independent. As you only need a Browser to display them, and all computers (I repeat: all!) do have some kind of Browser, you can finally rest at ease if you forgot your Laptop at the hotel. Simply plug in a USB stick containing your presentation and start it on any computer! If you want to have a look at how writing such presentation works, I have prepared a presentation that you can see here. The source file containing the Markdown I've used for creating the presentation can be found here. Zettlr supports eight (!) different themes to export to, from black to white! As early as version 0.7 I've translated the application. 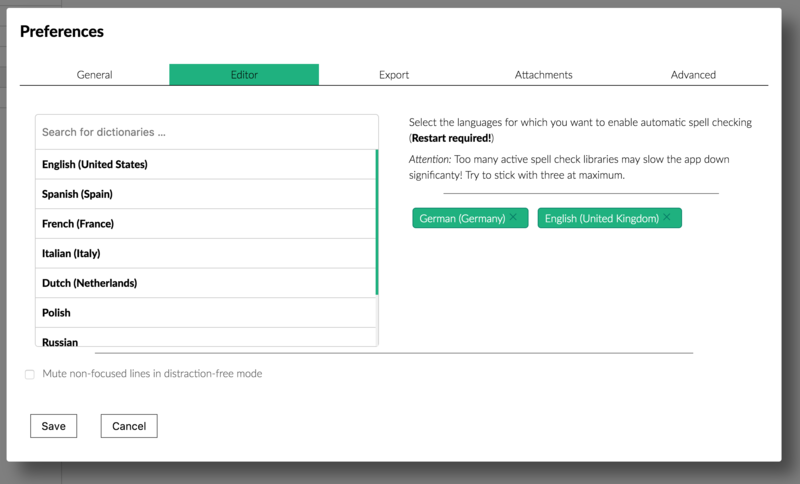 One of the next things to do was to enable you to import custom translations. This has been done in the last version. But of course this should also apply to the spellchecking dictionaries. As Zettlr uses the widely available hunspell dictionaries, it's easy to find all dictionaries you may need on the internet. Where <lang>_<LANG> corresponds to the language you want to add, e.g. de_CH. If you have added your dictionaries, you can select them in the now completely rewritten (and much more beautiful) dictionary selector. And chances are that your language is even recognised in Zettlr, because I've added over 70 new language codes to the default translations! All languages not yet translated will simply be displayed using their language code. Among the smaller features are some things we all have been annoyed by. For instance, creating footnotes is now much easier because Zettlr won't jump to the bottom of your text anymore. 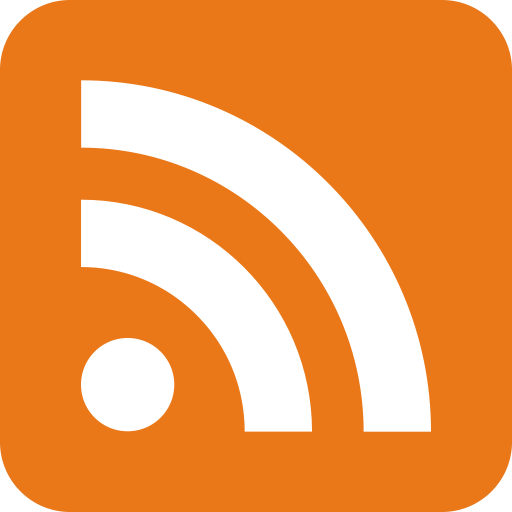 The link detection when placing links and images now works reliably, links inside headings are rendered using the correct size, clicking on coloured tags in the preview list will now actually trigger a search for these tags, the context menu has been overhauled and much more. 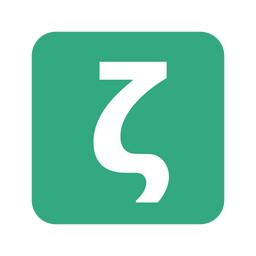 I hope you enjoy this new release of Zettlr! It should work a lot more reliably and comfortably now. 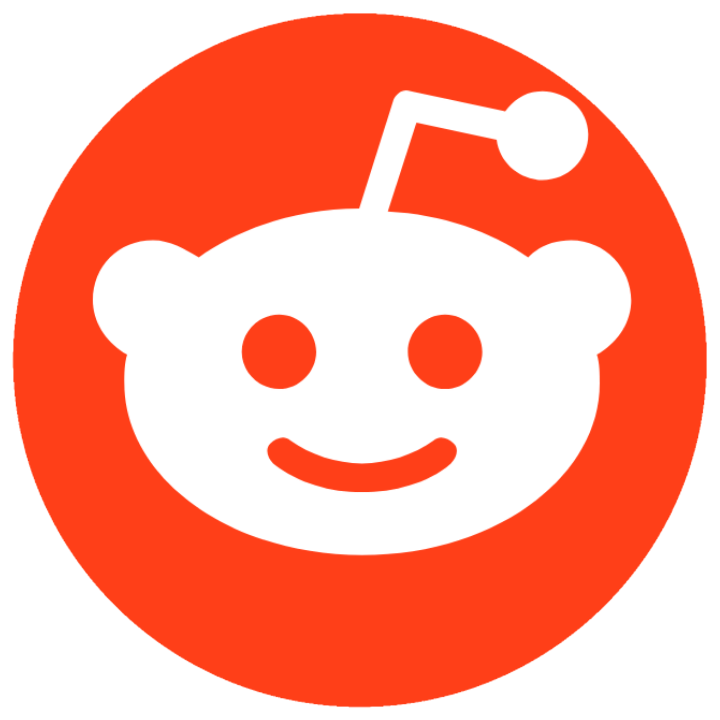 Interested in the app? Head over to the Download page!